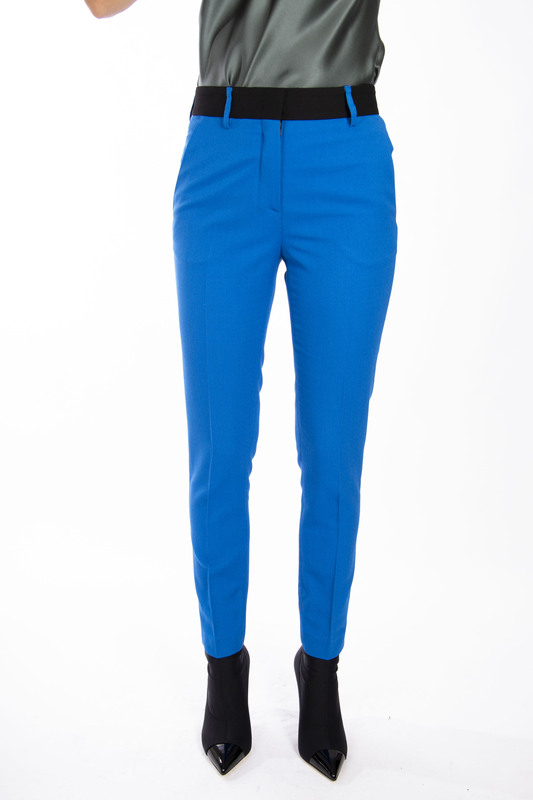 MSGM, Tuxedo pants in blue crepe cady viscose with contrast detail. Zipper closure and metal hook. Welt pockets at front and two pockets at back. High waist. Regular fit.